Screen Cage Enclosure Lake Mary Florida. 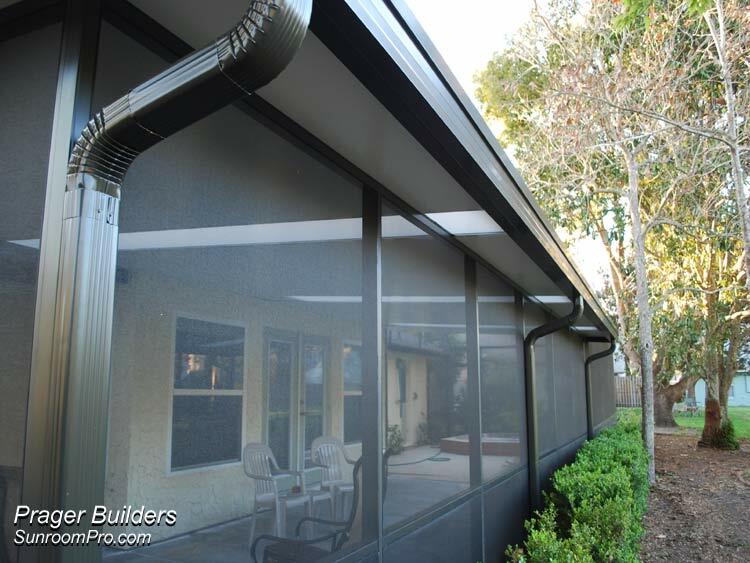 Prager Builders Sunroom Pro. 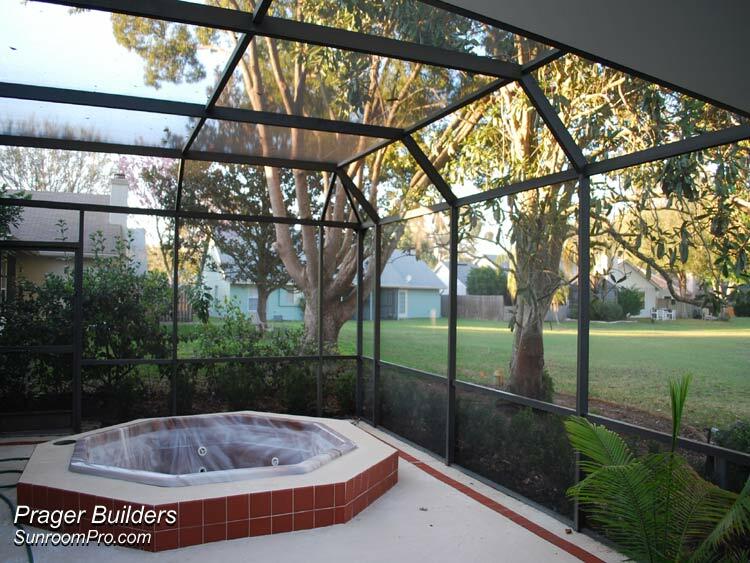 This versatile combination project incorporates a partial screen roof for hot tub use. 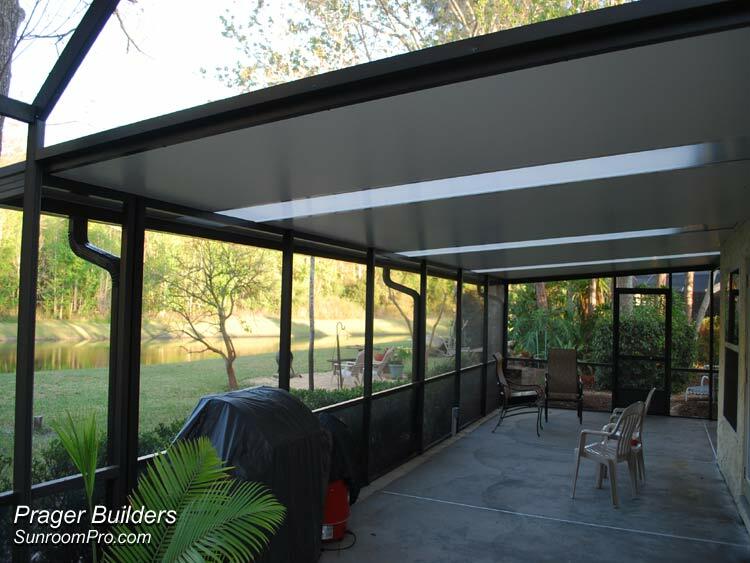 The remainder is solid insulated roof with three insulated skylights. The unique attachment allowed for a higher front wall and enhanced the view from the family room. 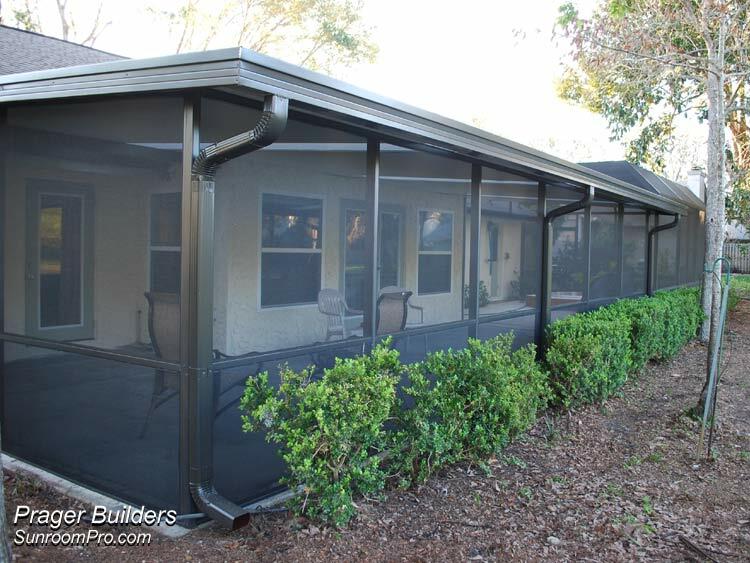 We have constructed many screen cage enclosures in Lake Mary and all throughout Central Florida.